Inside, looking out from her pedestal at the window, our tropical Hibiscus has now gifted us with three dessert-plate-sized flowers this winter, and it appears that there are more to come. She loves snow and cold – if it can be admired through a window. 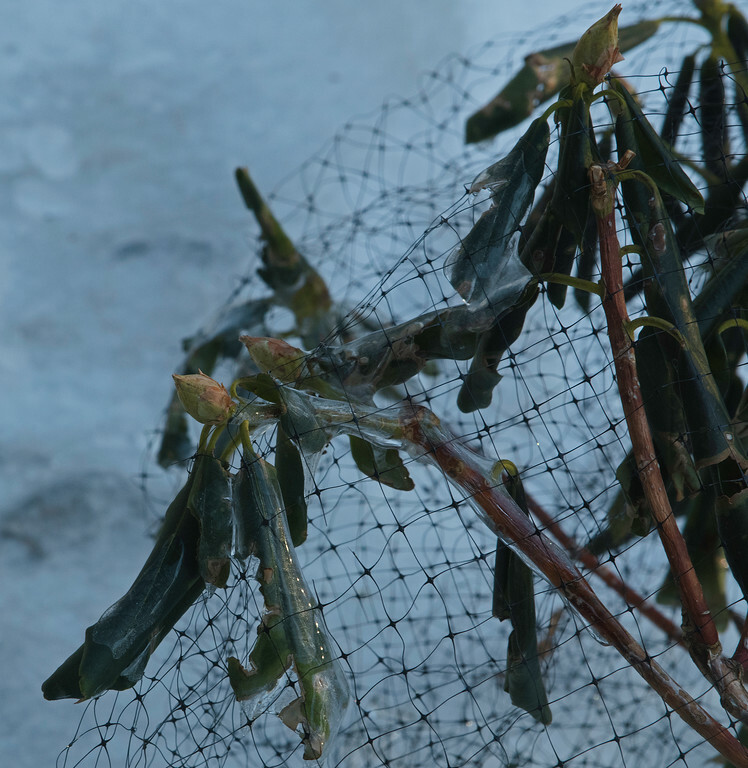 Outside, looking in from under their deer netting, our ice-encased Rhododendrons stoically sleep soundly. They’ll awaken and present their gifts in the spring.